In the UK, responsibility for the making of education law and guidance has been devolved to the Scottish Parliament and the Welsh and Irish Assemblies. In England, legislative responsibility for education continues to lie solely with the UK Parliament at Westminster. The formal devolution of statutory responsibility for education law to Scotland, Wales and Northern Ireland has emphasised existing differences and continued to establish further ones. funding routes and arrangements for higher education. Overseas education for Armed Forces families is dependent on the area to which you are assigned. Please also take a look at Joint Service Publication 342, which provides policy and guidance for the education of service children and young people. The Naval Families Federation is working hard to remove disadvantage to families in the provision of education. We work closely with the MOD’s Directorate of Children and Young People (DCYP) and other stakeholders to achieve this aim. Your feedback is extremely valuable to us in carrying out this work, so please do get in touch and let us know about your experiences. CEAS are part of the MOD’s Directorate Children and Young People (DCYP) and are a small team, who are experienced in advising service parents on a wide range of issues regarding the education of service children in the UK and overseas. CEAS are also the first port of call for people considering an application for Continuity of Education Allowance. You can find their contact details and further information about the types of advice they offer here. Finding the right school for your child, and securing a place, can be challenging for any family, but Armed Forces families moving area can face additional hurdles if the school of their choice is oversubscribed. The Armed Forces Covenant will not automatically secure you a place at your school of choice, but it will help to make sure that you are not disadvantaged compared to civilian families. If you have a particular problem with admissions to schools, please contact the Children’s Education Advisory Service (CEAS) by email dcyp-ceas-enquiries@mod.uk to seek advice. If you would like to provide feedback to the NFF about your admissions issue, so that we can represent your experience to effect change, please email contactus@nff.org.uk . You must apply for a place at a school, even if it’s linked to your child’s current nursery or primary school. You should apply in the same way if you have just moved to England or Wales or are applying from abroad. Contact the council if you’re applying for a school place after the start of the school year (eg changing schools). Applications open on different days in each local council area – usually at the start of the autumn term of the year before your child is due to start school. Find out from your local council when applications open, and the deadlines for primary or secondary schools. If you are unable to apply for a school place by the deadline because of an assignment, let the council know as soon as you can, if necessary using your unit address. Information on finding schools and the process can be found on the Parentzone Scotland website. A guide about Scottish Education written for parents can be found here. A full list of all the catchment schools serving military bases in Scotland can be found on Forces Children’s Education. To make an application, contact the local council through the details here. Separate procedures exist for admission to pre-school (2-4 years), primary (4-11 years) and post-primary (11-18 years) education. You can find out how to enrol a child here. All schools have admission criteria to decide which children get places. The school or local council usually set these. If you have not been able to get your child into your school of choice, there will be an appeal process which you can follow. The admissions code for England can be found here. The appeals code is here. The admissions and appeals codes for Wales can be found here. In Scotland, contact your local council to make an appeal. You can find out about the process here. The appeals process for Northern Ireland is here. These from CEAS packs can be used by parents and schools to supplement the information that schools must transfer by law. You can personalise the pack by using the sheets you find most useful, or you can add others that you think will help the school to know more about your child. The activity pack is aimed at children aged 6 to 11 years old, but you may want to adapt some of the ideas for your own child. Some tips from Service Children’s Education (SCE) on movement between schools can be found here. These ideas are from schools with large numbers of mobile Service children, but could be adapted for schools with smaller Service cohorts. 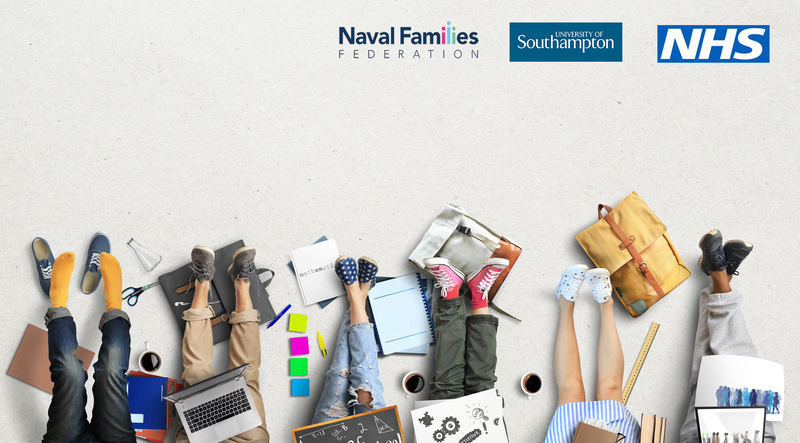 The Naval Families Federation has been asking for better information transfer for Service pupils moving between schools, in response to feedback from families. A form called a Pupil Information Profile had been developed to enable schools to pass on information, but in practice it is not always used. From September 2018, the Common Transfer File (CTF), which is used by schools and local authorities to send pupil data whenever a pupil moves from one school to another in England, is being updated. This will improve the information being transferred and help to identify children who may need support as a result of their Service connection. It is not an extra form for schools to complete, but a normal part of their practice, and therefore likely to be more consistently used. It contains a ‘flag’ which is used to identify a child’s Service status. “Details about concerns”: this is a free text box in which the school can include further details about their concerns. The school may wish to include, in this free text section, contact details to assist in the integration of the new pupils. The CTF system will be configured so that when a CTF is received by a school with the Service Child flag set to ‘Yes’, an alert will be automatically raised asking that a) the head teacher or appropriate member of staff should be informed of the identity of the Service child joining the school; and b) where the “concerns” section (described above) has not been completed, that the appropriate member of staff be informed and advised to contact the CTF sending school for clarification. We would be interested to hear from families about their experiences of information transfer between schools. We are very aware that there are differences between the English system, the Devolved Governments and overseas provision. Do contact us and let us know about the challenges you have experienced, and also about examples of really effective practice. The Pupil information profile (PIP) form is a transfer document which is consistent for all pupils in any school setting (regardless of location) to support specific aspects of a pupil’s background and learning. It contains information that supports a young person’s future learning and parents are encouraged to bring this to the attention of their child’s school about using it as a helpful tool, when the child is about to move to another school. It is intended to support continuous learning by identifying the pupil’s current and future learning needs. It can be downloaded here. The national curriculum sets out the programmes of study and attainment targets for all subjects at all 4 key stages in England. All local-authority-maintained schools in England teach these programmes of study. You can find out more about the English system here. An overview of the key stages and assessments in the English education system can be found here. Education is devolved to the Scottish Government, which means that the Scottish Government has the power to introduce new laws, curricula and guidelines on education within Scotland. An overview of the Scottish education system can be found here. You can find out about how the Scottish education system differs from other parts of the UK by reading the Directorate Children and Young People’s Education in Scotland – An Introductory Guide. An overview of the system in Scotland, with comparisons to England and Wales, can be found here. A new curriculum is being developed for settings and schools in Wales. The curriculum will be available by April 2019 for feedback. A final version will be available in January 2020, and will be used throughout Wales by 2022. You can find out more about the new school curriculum here. You can find out more about how Service children are supported in Wales by visiting the Supporting Service Children in Education Wales website. 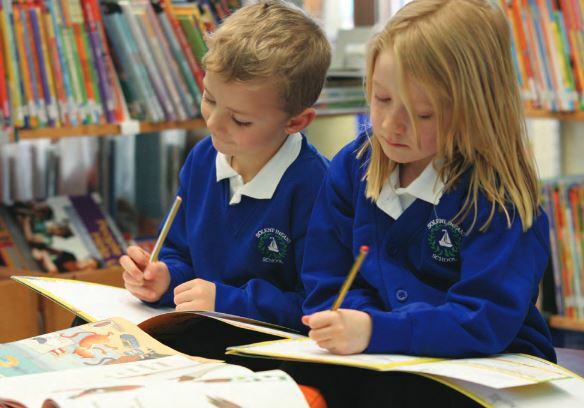 A quick guide for parents about how the education system in Wales is structured, plus information about the National Reading and Numeracy Tests and the new curriculum for Wales can be found here. The Children’s Education Advisory Service has some introductory information about education in Northern Ireland on their website here. More detailed information about the curriculum and assessment is here. A useful summary of the curriculum in Northern Ireland and the key differences from other areas of the UK can be found here. If you are offered an overseas assignment, you will have to look carefully into the education available for your children. It is essential that your children are registered on JPA, and that you contact the Children’s Education Advisory Service (CEAS) for advice. This is especially important if you have a child with Special Educational Needs or Disability (SEND). The type and quality of education available will differ from country to country and often from one part of a country to another. Remember that what is right for one child is not necessarily right for another. The age and ability of your child will have an effect on your decision. The opportunity for a child to be educated in a different system and different culture can be attractive, but you will have to weigh up carefully the advantages and disadvantages. International schools (independent, usually English speaking schools). If you decide that there is no suitable schooling for your child at the overseas posting you might want to consider boarding in the UK. The Continuity of Education Allowance is available for eligible service personnel to help them with the cost of boarding education. Service Children’s Education (SCE) is an agency of the MOD. It aims to provide an excellent education service, from Foundation Stage through to sixth form, for Service children residing with MOD personnel serving outside of the UK, and to enable those children to benefit from their residence overseas. SCE has schools in Germany, Cyprus, Belgium, Brunei, Canada, the Falkland Islands, Italy and the Netherlands. Visit the website here. Primary and secondary education in Gibraltar is no longer provided by Service Children’s Education. Instead, the Government of Gibraltar provides school places for all MOD-entitled children requiring primary and secondary education. Students can also enrol at the College of Further Education which delivers vocational courses, as well as traditional academic subjects for the post 16-age group. Find out more about schooling for Service children in Gibraltar through the SCE’s site here and through the Government of Gibraltar’s website here. Further information about all types of overseas education is available from the CEAS website. Home education is legal throughout the UK, and has been for many decades. It is a positive long-term choice for some families. It can also be an option for families who are moving between areas and seeking to avoid starting a child in a school for a short period of time (for example when a child is on a waiting list, or if you are just about to be reassigned after the start of a school year). The legal position in the four countries of the UK (England, Scotland, Northern Ireland and Wales) is not identical. According to the 1996 Education Act in England and Wales, parents (not the state) are responsible for providing their children’s education ‘at school or otherwise’. Education must be suitable for the age, ability and aptitude of each child. Find out more about home education from the Gov.uk website and from Education Otherwise. ‘Schoolhouse’ is Scotland’s national home education support charity. It is a well-established and well respected source of independent information and support for anyone interested in home education. For more information, visit the Schoolhouse website. ‘Home Education Northern Ireland’ is an inclusive group for home educators and their communities in Northern Ireland, and was recently involved in coordinating the response to the consultation on the Draft Policy on Elective Home Education published by the five Boards there. Visit the Home Education Northern Ireland website for more information. Continuity of Education Allowance (CEA) is offered by the MOD to assist with funding a place in boarding school in order to help to provide continuity of education for a child, and to enable the spouse of a Service person to accompany them on assignments. In claiming CEA, a Service person must fully accept that accompanied service is the overriding principle for maintaining entitlement. An exception to this requirement is when a Service person is classified as Involuntarily Separated (INVOLSEP). This classification must be confirmed by the claimant’s Commanding Officer or by means of casework to Service Personnel and Veterans Agency (SPVA) before claiming while serving unaccompanied. CEA is available for children aged eight years and over. If your child has Special Education Needs or Disability (SEND), this should not prevent their admission to a boarding school, and an allowance for SEN support may be available in some circumstances. Children for whom CEA is being claimed must be placed in their correct chronological year group. If a school suggests that a child be placed, on entry to the school, in the year behind (or in front of) their correct year group, advice and authority for this must be sought from the Children’s Education and Advisory Service before the placement is accepted, as this may affect your eligibility to claim CEA. Advice and authority must also be sought from CEAS if a child is back-yeared or asked to repeat a year in a school they are already attending. You are expected to contribute a minimum of 10% towards the fees. The fees are only part of the costs of attending a boarding school and so it is important to be clear about any extras the school charges for. Parents of boarders at state boarding schools pay only the cost of boarding, as the education is free. There are 38 state boarding schools across the UK, please click here for a full list of schools. If you are considering to enrol your child(ren) in a state boarding school, please do take a lot at this parent’s guide produced by State Boarding Schools’ Association. CEA can be claimed by eligible people for state boarding. To find out more, please click here and check out the guidance from CEAS here. Further information about eligibility is in Joint Service Publication 752, part 2, Chapter 9. To check your eligibility and to apply, contact your Unit Personnel Office. The aim of Continuity of Education Allowance (Guardians) (CEA (Guardians)) is to financially assist Service parents who elect to place their child in the care of a guardian so that the child may continue to attend a particular day school. The allowance is intended to contribute to the additional costs of a child maintaining contact with its family when it is living away from the family home. The allowance is not intended to cover any costs for accommodation, education or welfare. CEA (Guardians) is paid at the rate of £10.00 per day (correct August 2018). Deployment commitments have always meant difficulty for Royal Naval and Royal Marines families trying to tie in leave dates with school holidays. Since September 2013, by law, head teachers are only able to grant requests for leave during term time in “exceptional circumstances”. The educational needs of Service children affected will always be a critical factor when determining whether term-time absence should be granted. As well as operational tours overseas or afloat, there are many situations where the unusual and often unpredictable demands of life in the Armed Forces may prevent Service families taking holidays together outside term time, which should be considered. However as with all children, the decision on whether to authorise term-time holidays for the children of Service personnel sits solely with the Head Teacher of their school. Separate advice should be provided to Service families explaining how they should present evidence when requesting absence during term-time, and reminding them firmly that the educational needs of their child(ren) will remain of great importance. To assist Head Teachers in making their decisions on absence applications, Unit Commanding Officers and their Welfare Staff will be able to provide advice, verification and endorsement as required. 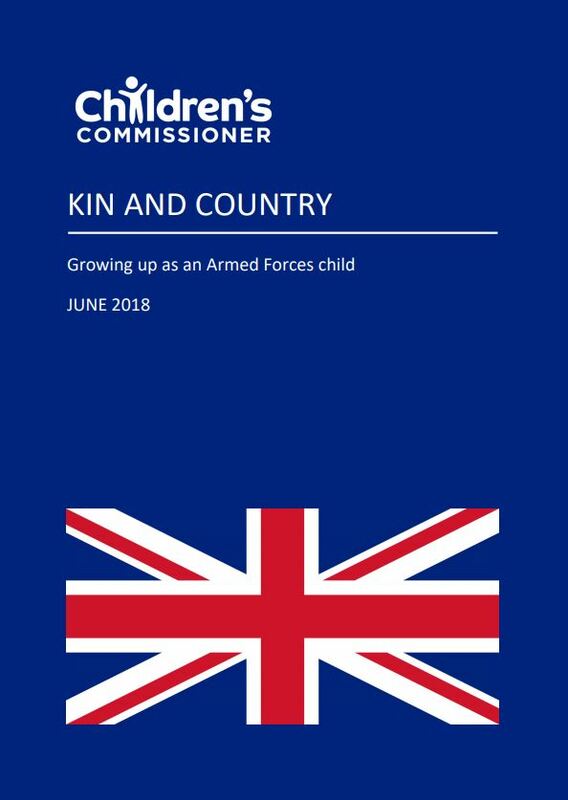 If Head Teachers are unsure how to make contact with the relevant Armed Forces unit they should contact the MOD’s Directorate Children and Young People at DCYP-DCYP-Mailbox@mod.uk. To read the MOD’s ‘School Term Time Absence for Children of Service Personnel Guidance’ in full, click here. Schools have a responsibility to provide appropriate individualised care and pastoral support for all children. We receive many enquiries about this, particularly from parents who are concerned about how this works across the devolved nations, or who feel that their school could be providing more effective support. We love to hear from people who have experienced great support so that we can showcase examples of effective practice. Do please contact us if your child’s school is doing something we can share to improve practice in other schools. The Service Pupil Premium (SPP) is extra funding for schools in England to support children and young people with parents in the Armed Forces. In order for your child to be eligible you need to inform your child(ren)’s school of your (or your partner’s) Service status before the annual school census, which is the third Thursday in January every year. The SPP is provided by the Department for Education, to State maintained schools, Free Schools and Academies in England who have children of Regular Armed Forces personnel among their pupil population to provide additional (mainly pastoral) support. Children of parents on Full Time Reserve Service (Full Commitment) also attract SPP. The SPP is currently £300 per Service pupil and is paid directly to schools. It is not transferable between schools and does not move with the pupil when they leave the school. Schools with Service children in Reception to Year 11 classes are eligible to receive the fund, but only if your child(ren)’s name appears on the school’s roll as being a Service child. This is why it’s of utmost importance for you to ensure that you have informed the school of your Service status. It is possible for step children to receive SPP provided that you meet the criteria. For more information on eligibility please see here. Or you can email: The Directorate Children and Young People (DCYP): dcyp-dcyp-mailbox@mod.uk. There is no Service Pupil Premium for Service children living in Scotland, but the Scottish Government strategy for school funding takes into account factors such as deprivation, mobility and under achievement. Service families can register their status with their schools, so that the child’s record is flagged with an indicator. When Service families register, clusters of mobile families are highlighted and this attracts more funding for the school, which may be used to provide support. The Royal Caledonian Education Trust is Scotland’s Armed Forces Children’s charity, and works with schools and families to help children to thrive. You can find out more about their work here. The last official response from the Scottish Government on this subject is here. It was also raised by Jackie Baillie MSP in a Scottish Parliament Debate in late September 2018. We will continue to address this with the Scottish Government. The Service Pupil Premium is not available in Wales. You can find out more about the Supporting Service Children in Education Project by clicking here and here. assigned to Northern Ireland for a period scheduled to last no less than 2 years. More information about education in Northern Ireland can be found on the Department of Education Northern Ireland website here. More information on The Common Funding Scheme can be found here. MKC Heroes is a unique ‘student voice’ group originally formed in the City of Plymouth for the support of Service children and young people. A growing network of schools across the UK are following in their footsteps. The NFF has been supporting Pompey’s Military Kids to learn more about effective practice, read more about this here. The Armed Forces Education Trust is a charity working for children and young adults whose education has been compromised or put at risk as a result of parents’ past or current service in our Armed Forces. It helps to help fund the education of the children of service men and women who have been disadvantaged by their parents’ service, and ensures that children do not miss out because of their parents’ service, regardless of age, ability, parental rank or past or current service. It can also provide schools with funding for additional resources to support the education of children whose parents serve or have served in our Armed Forces. You can find out more about its work and about how to apply for grants here.